The holiday season is upon us, and a few of your local medical practices will be operating under holiday schedules. Read on for additional information regarding closures and adjusted hours as our team prepares to observe the holidays. 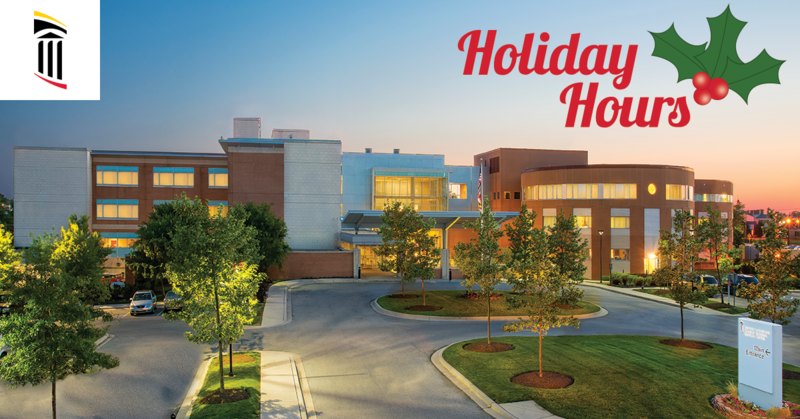 As always, our hospital’s emergency room will be open 24/7 throughout the holidays. In the event of an emergency, please dial 9-1-1. This practice will follow its regular schedule for dates not listed above (Monday-Friday, 8am-4pm). For dates not highlighted above, this practice will continue to operate under its normal schedule (Monday-Friday, 8am-4:30pm). On dates not listed above, the primary care practice will follow its regular schedule (Monday-Tuesday and Thursday-Friday, 8am-4:30pm | Wednesdays, 8am-7pm). On dates not listed above, this location will operate under its normal schedule (Monday-Friday, 8am-5pm). For any dates not listed above, UM Charles Regional Rehabilitation will continue to operate under its normal schedule (Monday-Thursday, 7:30am-7pm | Friday, 7:30am-4pm). For additional information about these holiday hours or to schedule an appointment, please call the numbers included with each practice, or visit UMCharlesRegional.org for additional information. 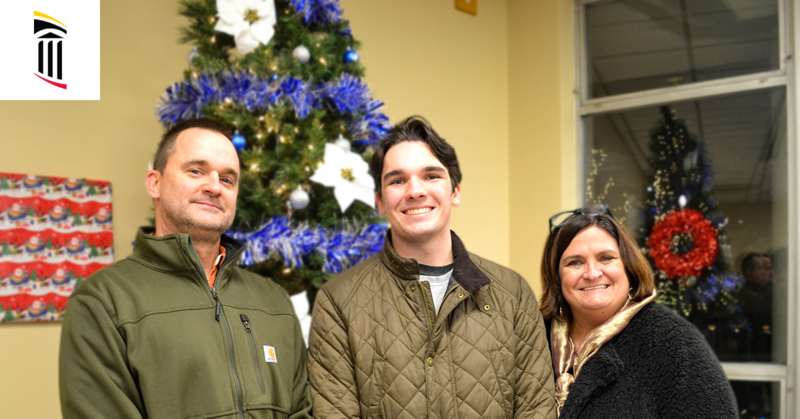 Every year, the Charles Regional Medical Center Foundation hosts the Tree of Life Illumination Ceremony to signal the start of the holiday season. On December 5 in our hospital’s courtyard, this annual event was dedicated to all those who’ve had a positive impact on our lives. The names and stories honored at this event turn this symbol of the holiday season into a symbol of hope and healing in our community. There are so many stories of love and remembrance that can be told from this year’s event. 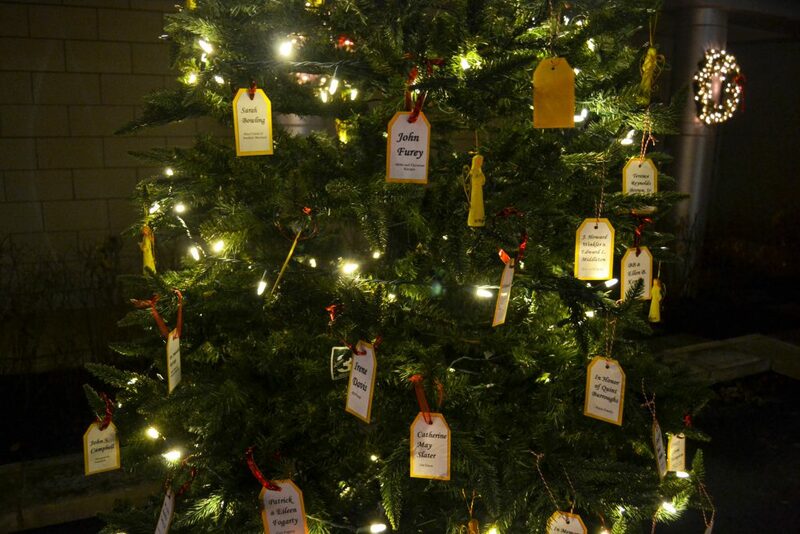 Each name that was hung from a tree in our healing garden represents a personal connection with someone who lives or lived in your community. We invite you to stop by our hospital this holiday season to enjoy the holiday lights in the healing garden. In the meantime, we wanted to share the special stories of those who helped our tree shine brightly into the night on December 5. These are the stories of our Tree of Life illuminators and a few other community members. 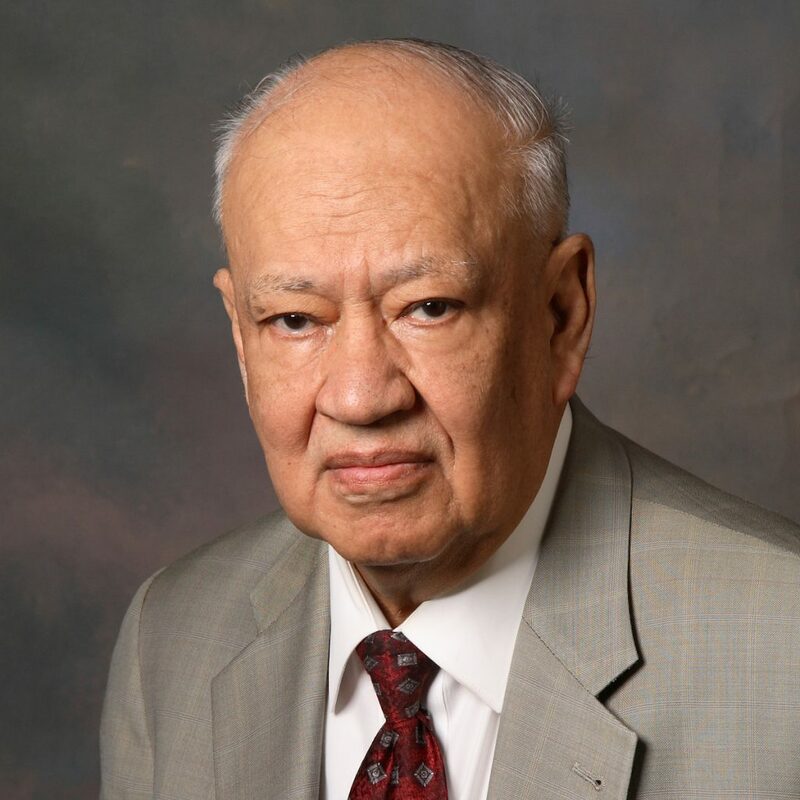 Before his passing in 2018, Dr. Guillermo Sanchez served as the Chief of Staff, Chairman of the Department of Surgery, and Board Member of UM Charles Regional Medical Center. But beyond his titles, Dr. Sanchez was an asset to the health of our community and touched countless lives as an orthopedic surgeon. We were so humbled to have the family Dr. Sanchez join us at the illumination ceremony and dedicate their light in his memory on this year’s tree. 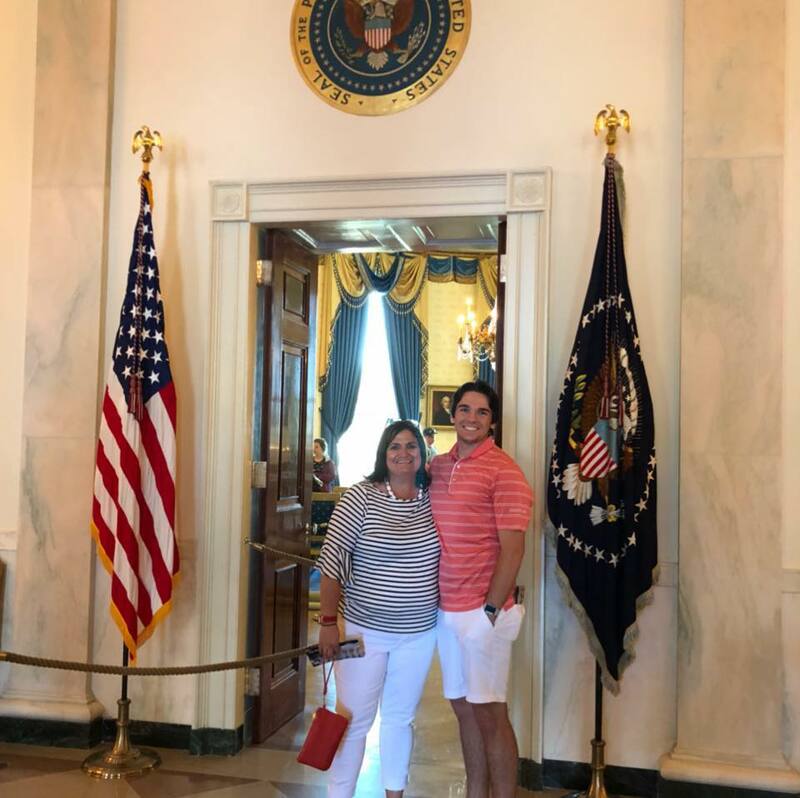 Earlier this year, University of Maryland student and Charles County resident Quint Burroughs came to UM Charles Regional Medical Center following hospitalization for a head injury and low sodium levels. He is still working towards a full recovery, but he and his family take comfort in knowing that they had somewhere to go nearby to get him the care he needed. We were so happy to see Quint at this year’s illumination ceremony and wish him the absolute best as he recovers from his injury. 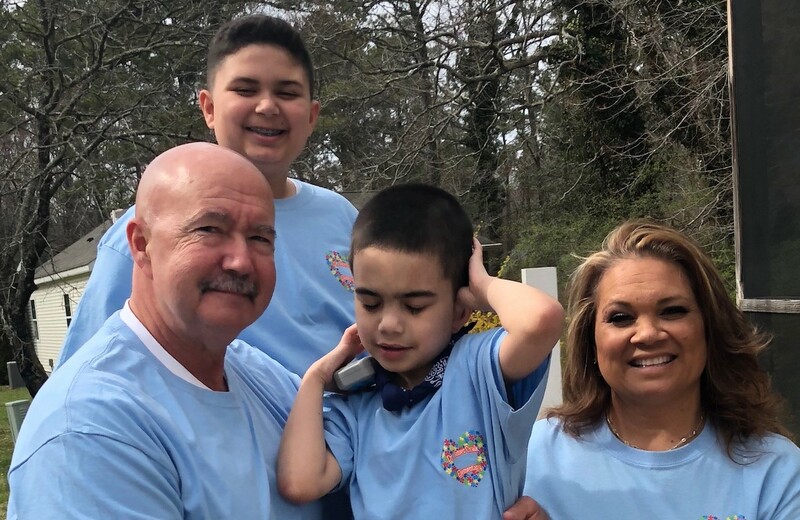 After suffering from his first seizure earlier this year, Kimberly Bean’s son, Xavier, was transported to UM Charles Regional Medical Center for testing and treatment. Awaiting the results from his tests, Xavier suffered from another seizure and returned to the hospital. At that time, our Dr. Houston was able to determine that he was showing signs of epilepsy. Kimberly joined us as one of our illuminators in honor of Dr. Houston and her son, and we wish the entire Bean family well as Xavier continues his treatment for seizures. Community Bank of the Chesapeake Executive Vice President and Chief Lending Officer Greg Cockerham and his family have been receiving care from our hospital since the days we were known as Physicians Memorial Hospital. From same-day surgery and trips to the ER to physical rehabilitation and wound healing, Greg and his family have had experiences with nearly every branch of UM Charles Regional. We were so excited to welcome Greg to our illumination ceremony and look forward to a continued relationship with him and his family. 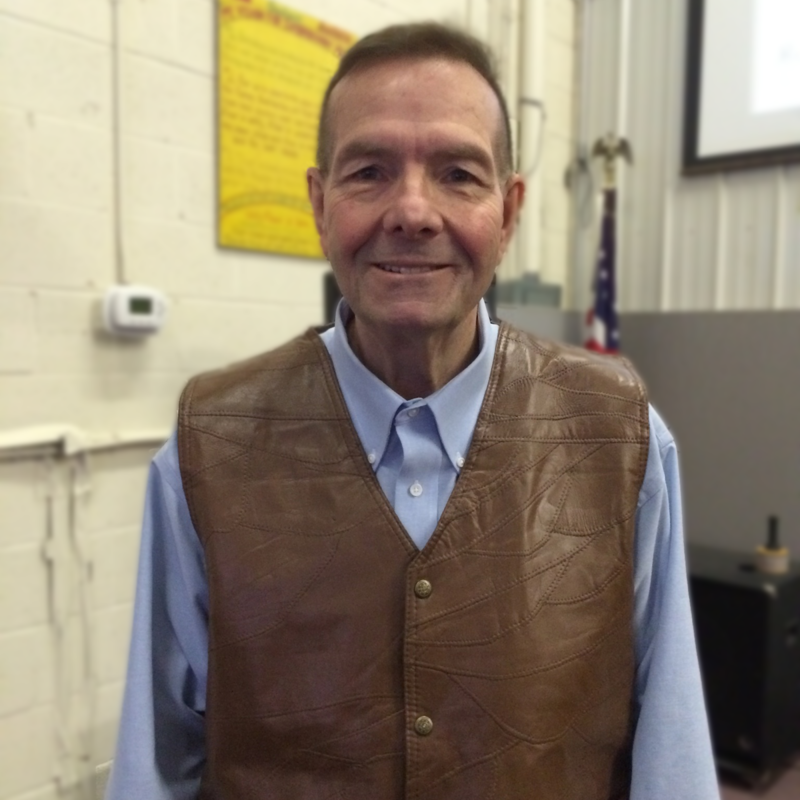 After having his kegel muscles removed to treat his prostate cancer, Dutch Williams found himself in need of assistance to restore his physical strength. He reached out to Sara Hall, DPT, at UM Charles Regional Rehabilitation, who was more than willing to assist in his care. Dutch’s treatment required an exercise program that he continues to this day as well as regular exams to ensure his muscles are responding appropriately. He has experienced continued improvements as a result of his muscle treatment but credits the informative approach Sara has taken throughout the process. Dutch’s story, like so many of our patients’ stories, is one of renewed hope after a life-changing experience, and we were so happy to be able to honor it at the illumination ceremony. 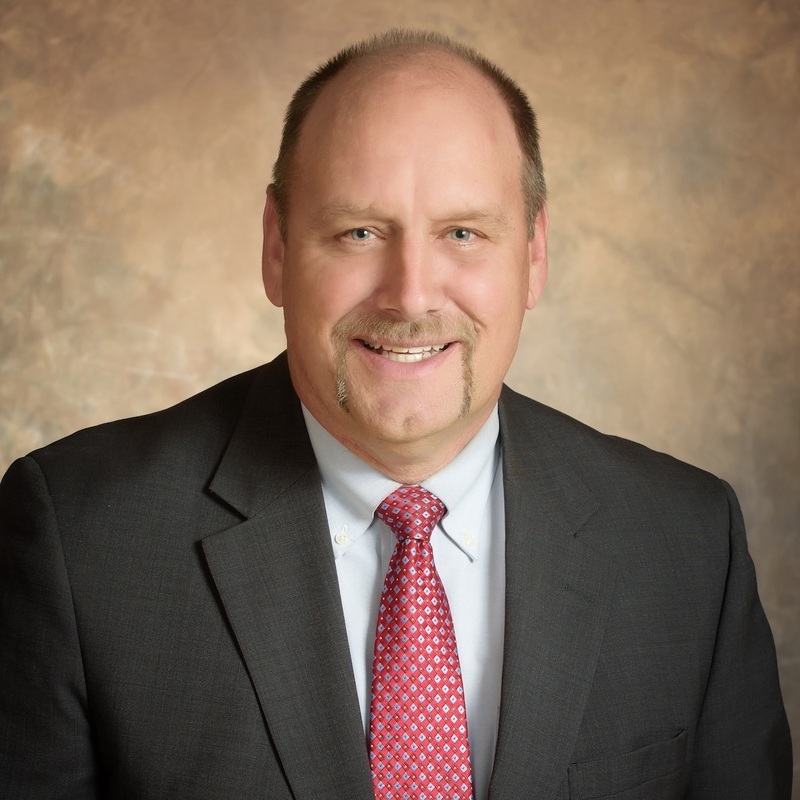 Town of La Plata Director of Operations Bobby Stahl came into our ER in August with a pain in his side, and further examination resulted in the removal of his appendix. Following the removal, his pathology results came in showing a cancerous tumor. 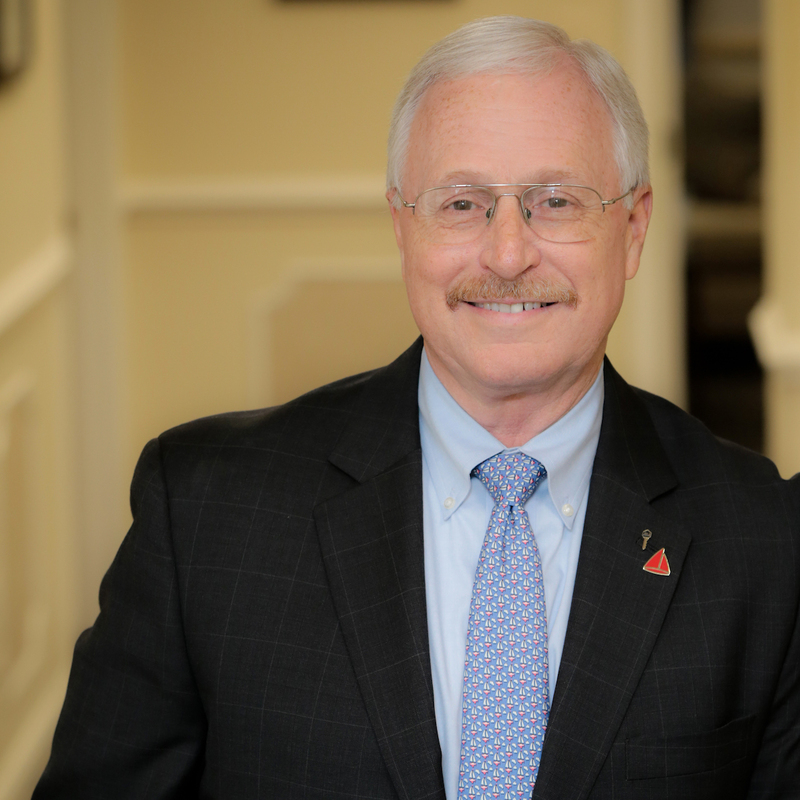 Because of the UM Charles Regional’s connection to the University of Maryland Medical Center, Bobby was confidently referred to a doctor who could treat him. He returned to work just days after his surgery and is staying well leading up to his procedure in December. We, along with the entire Charles Regional Medical Center Foundation team, would like to thank everyone who contributed to this year’s Tree of Life. As a result of your generosity, more than $4,000 was raised for the upcoming Julie and Bill Dotson Center for Breast Health in La Plata. Once it opens in 2019, this new practice will add to our existing range of services and help us further our mission to making Southern Maryland a healthier, better place to call home. It’s no secret that the United States is facing a dangerous and destructive opioid epidemic right now. It’s a problem that’s made worse by the fact that prescription opioids are too often the go-to method of treatment of chronic pain such as back pain or osteoarthritis, the most common form of arthritis. Even with the risk factors in mind, many of the estimated 116 million Americans who suffer from chronic pain each year are given medications to deal with pain. A safer form of pain management and relief exists in the form of physical therapy, which is why the Centers for Disease Control and Prevention recommends it over opioid-based treatment options. And unlike medications, which simply inhibit pain, physical therapy may actually reduce or eliminate pain altogether, making it even more valuable to the recovery process. Physical therapy is used to treat a wide variety of ailments, and in some circumstances, physical therapy can actually be used as an alternative to more invasive procedures such as surgery, which ultimately reduces health care costs. For those who will still need a surgical procedure regardless, a physical therapy program may be beneficial both before and after surgery to improve diagnoses and healing times. Although sports injuries and pain management are big reasons why people receive physical therapy, one of the often overlooked groups of patients are those who’ve suffered from strokes. A stroke can often affect a person’s ability to walk, move, or balance, depending on the severity of it. That’s why, for many, physical therapy is an essential part of regaining independence in post-stroke life. 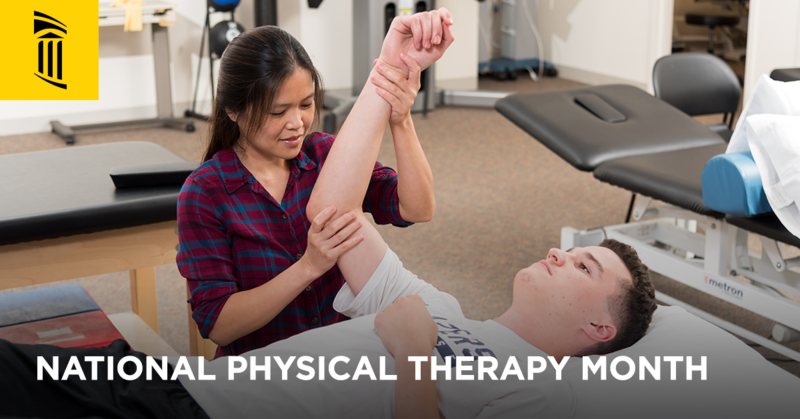 Want to learn more about the physical therapy services available here in Southern Maryland? Visit CharlesRegionalRehabilitation.com to find out how the experienced team at UM Charles Regional Rehabilitation uses a one-on-one approach to get patients back to their best health. We are so proud to unveil the new home of several of the region’s most trusted medical specialists, the UM Charles Regional Medical Pavilion. As part of the UM Medical System’s commitment to growing its network of care throughout Southern Maryland, the new Medical Pavilion features a collection of three practices as well as the future home of the upcoming Julie and Bill Dotson Center for Breast Health. And now that the doors are open, patients and visitors can find state-of-the-art facilities, ample parking space and expert specialty care in a convenient location, right near UM Charles Regional Medical Center. A great primary care provider can put you on a path to a lifetime of good health. And it’s that philosophy that inspires Dr. Lorenzo Childress, who leads the team at UM Community Medical Group – Primary Care. Board-certified radiologists employ their extensive experience and expertise to provide the highest quality diagnostic imaging services at UM Charles Regional Imaging. There’s no need to travel beyond Southern Maryland when 3T MRIs, 64-slice low-dose CT scans, mammography and bone density (DEXA) scans are available right here in La Plata. With early morning and evening appointment times, UM Charles Regional Rehabilitation offers personalized physical therapy that’s designed to fit your life. The talented, experienced team employs a one-on-one approach to help you get better faster — all on your schedule. When it opens its doors next year, the Julie and Bill Dotson Center for Breast Health will help us meet the goal of providing hope, support and care for family, friends and community members as they cope with breast health issues. Stay tuned to our blog and our Facebook page for the latest updates and information about this important new practice. The UM Charles Regional Medical Pavilion is home to just a small handful of practices and experts in the UM Medical System. 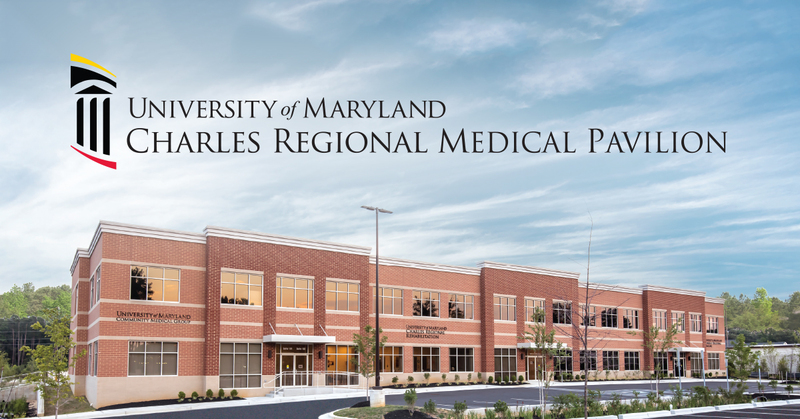 Visit our new website today to learn more about all of the UM Charles Regional and UM Community Medical Group services offered right here in Southern Maryland. October is National Physical Therapy Month, and every year, we like to take some time to recognize those who work so hard to help others overcome pain or regain mobility through physical therapy services. Joint replacements, osteoarthritis, post-surgical recovery and even sports injuries often require the expertise of a physical therapist, but we’ve found that care and compassion are two of the most important qualities of these practitioners. And we’re saluting those physical therapists and physical therapist assistants who continue to serve their patients in this way, no matter what ailments they aim to overcome. Residents of Southern Maryland have access to superior physical therapy services, including those offered by the skilled team at UM Charles Regional Rehabilitation, located right here in La Plata. With a proven, one-on-one approach to tackling physical therapy issues, the physical therapists, physical therapist assistants and rehabilitation technicians continue to help patients get on the fastest path to their best health. To learn more about UM Charles Regional Rehabilitation or to request an appointment, visit their website today. Or call (301) 609-5494 now for more information. One of our top priorities has always been to provide quality health care services for our community in the most convenient locations possible. And as part of that ongoing mission, we are announcing that UM Community Medical Group – Primary Care, led by Dr. Lorenzo Childress, and UM Charles Regional Rehabilitation are moving to new locations in La Plata. Rest assured, you’ll receive the same high-quality comprehensive rehabilitation and primary care services you’ve come to expect, just in a new location! 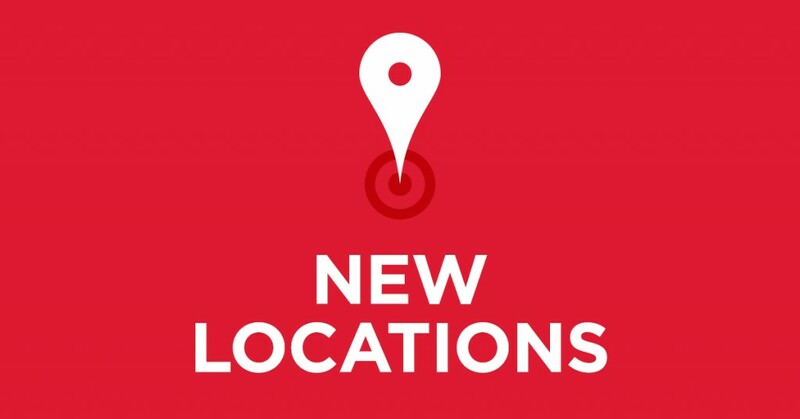 For more information about the relocation or the services offered by either of these practices, please call UM Charles Regional Rehabilitation at (301) 609-5494 or UM Community Medical Group – Primary Care at (301) 609-5044. It’s back — one of the area’s favorite annual running events! 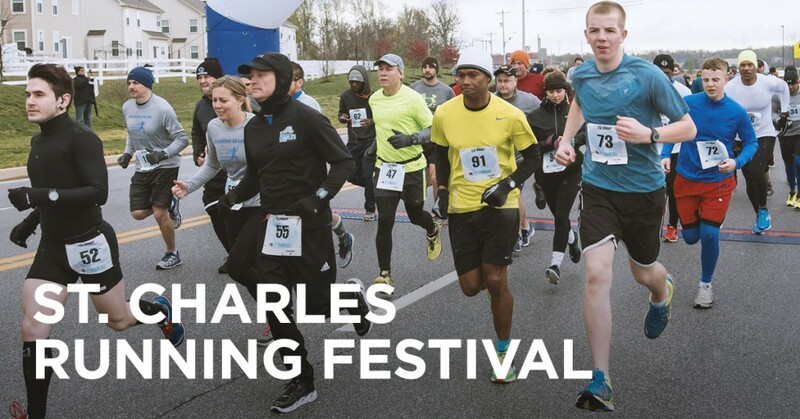 The St. Charles Running Festival is taking place on Saturday, April 1, in Waldorf. With a 10-miler, a 5K and a Kids Hero Fun Run, runners and walkers of all ages and ability levels can have a great time and support the Charles Regional Medical Center Foundation. This fun annual event offers a USA Track & Field-certified 10-mile, 5K and fun run course that begins at Regency Furniture Stadium (the home of the Southern Maryland Blue Crabs) and takes participants through the community of St. Charles. On top of the accomplishment you’re sure to feel, you’ll feel even better knowing that all proceeds will benefit vital technology upgrades for our Emergency Department, which is key to ensuring we can meet the health needs of our entire community. Are you in? Register online today to guarantee your spot! It’s $35 to run the 5K, $45 to run the 10-miler and $10 for the Kids Hero Fun Run. Hurry! Early-bird pricing runs through March 9, and prices for the 5K and 10-miler increase by $5 after that. Before each race, our experienced team from UM Charles Regional Rehabilitation will help participants stretch to ensure everyone is in the best condition to run without injury. Visit our website to learn more about this specialty team that’s serving Charles County from right here in La Plata. Sponsorship opportunities are available for this event as well! It’s a great way to support a good cause and get your business in front of an energized group of athletic and community-minded participants. You can get more information by visiting our website. At UM Charles Regional Medical Center, we work to always show our recognition for the outstanding physical therapists and physical therapist assistants who work so hard to help us overcome pain as well as gain and maintain movement. 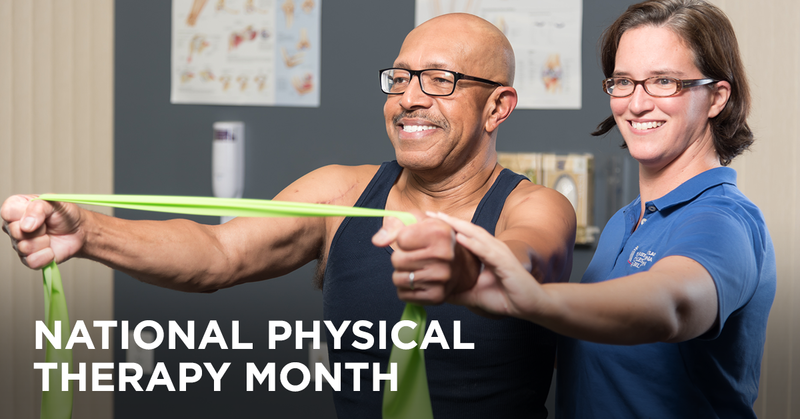 But because October is National Physical Therapy Month, we’re sending a little extra recognition this month to all those who help keep us moving. This is also an opportunity to introduce our fantastic team at UM Charles Regional Rehabilitation. 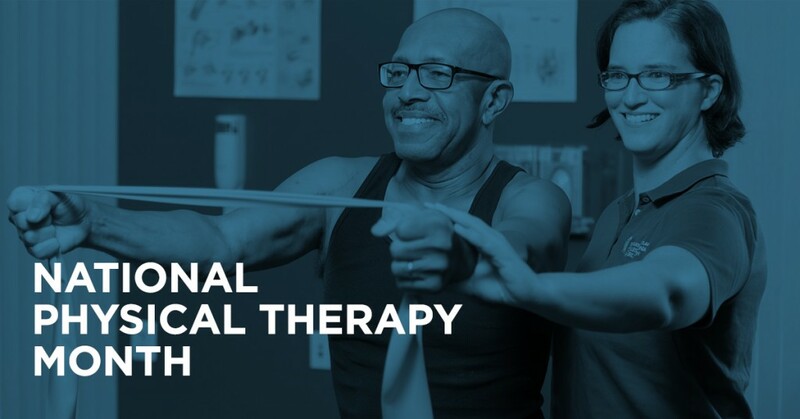 This physical therapy center in La Plata offers a wide range of treatments from some of the discipline’s most experienced and compassionate practitioners. Through a variety of individually focused treatments, the staff at UM Charles Regional Rehabilitation helps patients get back to living a more mobile life by treating conditions like sports injuries, joint replacements, osteoarthritis, spinal pain, post-surgical recovery and more. The caring staff at UM Charles Regional Rehabilitation can provide the assistance needed to move beyond injury and into a more active life. Wondering if your condition could benefit from physical therapy? Give UM Charles Regional Rehabilitation a call at (301) 609-5494 and take the first step towards moving better. Lace up your shoes, stretch out your legs and prepare to hit the course. That runner’s high arrives faster and lasts longer when you’re running for a cause this worthwhile. 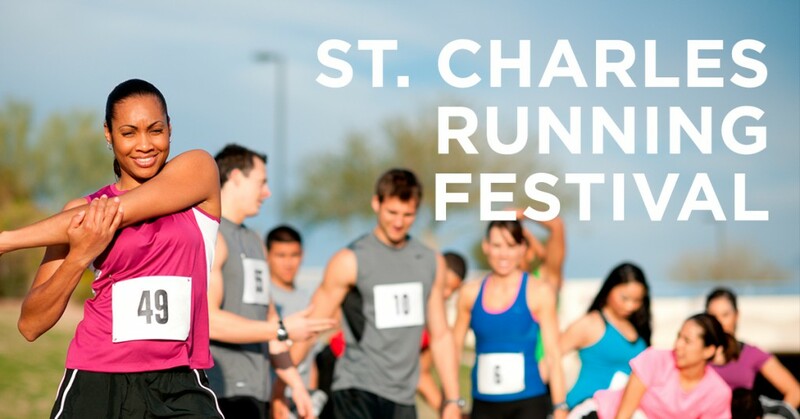 The St. Charles Running Festival is Saturday, April 9, at Regency Furniture Stadium in Waldorf. With a 10-miler, a 5K and a Kids Fun Run, runners and walkers of all levels can have a great time in support of our Comprehensive Rehabilitation Services. It’s more than a chip-timed race. It’s a day of fun activities for the family. It begins with pre-race stretching and energetic music before the 10-miler starts at 8:45am. The 5K starts at 9am, just outside the stadium, and the Kids Fun Run begins at 9:30am inside Regency Furniture Stadium. And remember, the race courses are stroller friendly! All pre-registered participants receive a commemorative T-shirt. After you cross the finish line, stick around for post-race massages and healthy refreshments. Kids participating in the Fun Run will enjoy a Chick-fil-A kids meal and two tickets to a Southern Maryland Blue Crabs baseball game. The Blue Crabs will host their annual Fan Fest in conjunction with the race, so children will have access to the playground at the Kids Park inside the stadium. As good as you’ll feel after completing your run, it’ll feel even better knowing you supported a worthy cause. Proceeds benefit important UM Charles Regional Comprehensive Rehabilitation Services, like physical, speech and occupational therapy, as well as cardiopulmonary rehabilitation. You’ll be helping us fund specialty equipment, enhance patient education programs and expand our clinical services in these critical areas. You never know when you or someone you love will need one of these critical services. Register online today to guarantee your spot! It’s $35 for the 10-miler, $25 for the $5K and $10 for the Kids Fun Run. Prices increase on March 12. It’s a great reason to get out and enjoy a fun morning run. See you at the starting line! October is National Physical Therapy Month and it’s a great chance for us to recognize the outstanding physical therapists and physical therapist assistants who work so hard to help you overcome pain, gain and maintain movement, and preserve your independence. Give UM Charles Regional Rehabilitation a call today to learn how we can help you move beyond injury.